The Blue Light Card app is brought to you by the largest provider of discounts for the UK’s Emergency Services, NHS and Armed Forces. 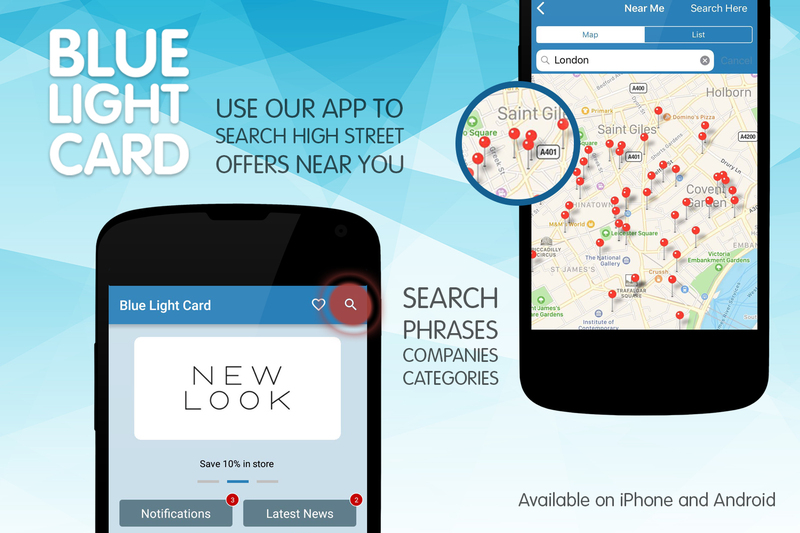 With thousands of offers available through Blue Light Card, our app acts as an ideal way to search, find and remember those offers that are of particular interest to how and where you shop. We have designed the app so that all offers and features are simply a swipe or a touch away. You can now renew your card in the app when you are within 30 days of expiry. You can apply for your Blue Light Card on registration. We’ve introduced Blue Light Card news articles so you can stay up to date with the latest companies joining the service. You can follow companies you like and be the first to learn about new offers and deals. You can receive notifications from the companies you follow and from Blue Light Card. 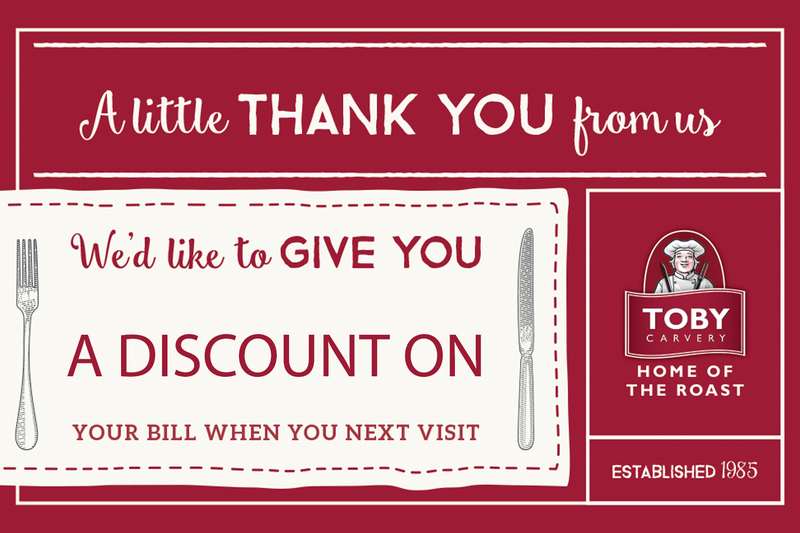 We are pleased to announce that Toby Carvery has now launched on Blue Light Card. In addition to this they are launching with an increased discount for the first month. From 2/1/18 to 3/2/18 members can receive a massive 20% discount Monday-Saturday with their Blue Light Card and a voucher that is available through the website or app. 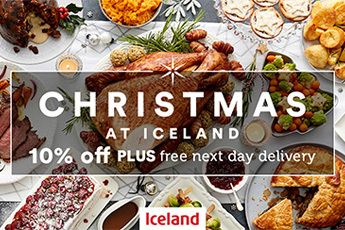 This will then change to a 10% discount for the rest of the year. How to receive in store: received when presenting your card along with the voucher. The terms of the offer and the voucher mentioned can be found on our website. Please log in, go to offers and search for ‘Toby Carvery’ for more information. This is a great new addition to the Blue Light Card offering and gives members another hugely popular restaurant chain that they can receive a discount with. Blue Light Card are pleased to announce our partnership with The Body Shop. From the 18th of December, Blue Light Card holders can get a 25% discount in store and online. In store: received when presenting your card along with our offer code. Online: use our offer code at the check-out stage. The terms of the offer and the offer code mentioned can be found on our website. Please log in, go to offers and search for ‘The Body Shop’ for more information. This is a great new partnership for Blue Light Card and adds another major high street brand to the discounts that Blue Light Card provides. 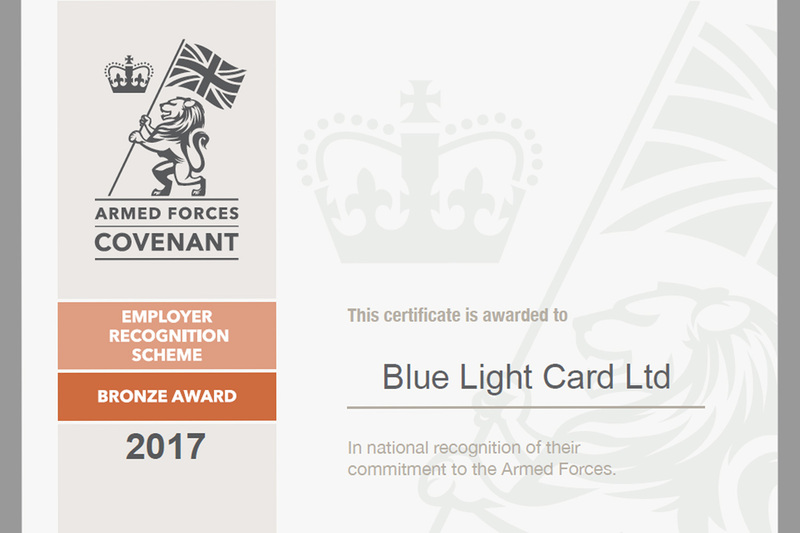 Blue Light Card are delighted to announce that we have been awarded the bronze award from the Armed Forces Covenant Employer Recognition Scheme. The Employer Recognition Scheme encourages employers to support defence and inspire other organisations to do the same. We are proud to promote being Armed Forces-friendly and pledge to continue to champion the entirety of the Armed Forces community. We would encourage any business, whether currently working with us or not, to get in contact with us so that we can help put you in touch with the Armed Forces Covenant to support the members of our Armed Forces.